With the nation reeling from the recent terrorist attacks, Q and Angela leave Chicago and arrive in San Francisco. Their parents are determined to continue the Match tour but for safety’s sake, they have decided to send Q and Angela to boarding school. Not happy at the thought of being taken off the trail of the ghost cell, Q and Angela race against time with Boone and the SOS team to find Number One, the leader of the world’s most feared terrorist organization. It’s the final showdown. Hi, i know you finished this series a while ago but the end of storm runner: eruption was kind of a ending with loose knotts i was wondering, if you were to write a 4th book in that series, what would happen with everyone? this was a AWSOME book!!!!!!!! it made me cry at the end!!!!!!! 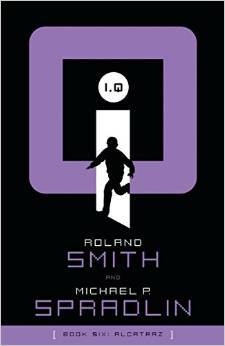 Hello Mr. Smith, my names Mr.Calle I love your books I own all of your IQ series in fact there the only books I read and own and only book I have read with a passion like I hate reading but your book really motivated me to read I love the iQ series but I just have always wondered why don’t you make a movie of this great book like I bet you anything your fans would love it hell I bet they’ll thank you. I’ve recommended your book to all my friends and family and have made each of them read them and we’ve all said the same thing, “why does he make a movie of this” I have a YouTube channel where I’ve spoken with many of viewers and they agree. Mr. Smith from all your fans can you please help use make a movie of your book try to speak with directors or investors to see if they can promote it so they can make things happen.